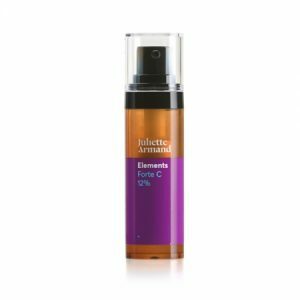 For two months now, we have been using the Forte C range by Juliette Armand. Though we haven't seen life-changing results, we loved it and here's why. For two months I have used two Juliette Armand products every single day. I used the Forte C serum and the Skin Boosters Chronos Hydra Correct Cream every morning. 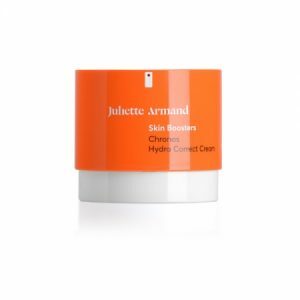 There are a few reasons I loved using this skincare from Juliette Armand. First, it was a really simple routine. I love simple, or, at least, I hate complicated. I don't want to spend ages each morning and evening wiping, spreading, removing and patting on skincare but it is something I have accepted I will do for the rest of my life. Not because I am particularly disciplined but because I feel really guilty if I don't clean and apply twice a day. I feel bad like I feel if I forget to brush my teeth. It's just wrong, right? The second reason is that this routine incorporated Vitamin C. It's my favourite of all the skin vitamins. If I could recommend just one Vitamin to use for your skin it would have to be Vitamin C. Vitamin C is not naturally made in our body so we rely on getting it from other sources. It promotes collagen production and evens out skin tone so it has a super anti-ageing effect on the skin. This serum from Juliette Armand is suitable for all skin types and all skin types should use it. I loved the Chronos Hydro Correct Cream's consistency and packaging. It's extremely hydrating and the consistency is gorgeous, not too thick but really comforting. It reinforces the serums hard work. This moisturiser has really active ingredients and anti-oxidants. Anti-oxidants actively protect your skin from free radicals while this cream also evens out skin tone and immediately reduces wrinkles by stimulating facial muscle contraction. Another good point for the Juliette Armand products is that it comes in an airtight container. I think we will see most brands follow suit in the future. It means we don't have to stick our grubby paws into the tub, preventing the spread of bacteria. It also preserves the ingredients in the cream as they don't become oxidized. After six weeks using this trio, my skin has been well hydrated (which is a feat in itself considering the harsh weather of late). My pigmented areas have been kept at bay and there has been little or no redness in my skin. These are my three main issues on an ongoing basis so anything that can control all three gets my approval. This is a really basic skincare routine, but apart from that, Juliette Armand have so much to offer. The range incorporates AHAs and all the vitamins your skin could desire. If you want to try it out, I would advise a visit to your local stockist for some advice on what is best suited to your personal skin condition. However, if you like basic or you are just not good at up-keeping a complicated routine, this duo is a great place to start.